If Wings, the first Oscar-winning war film, celebrates heroism, action, and male camaraderie, All Quiet on the Western Front, the third Best Picture (for 1929-1930) has a different, anti-war, message. 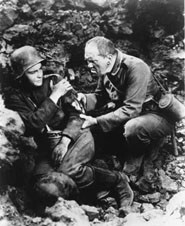 Based on Eric Maria Remarque’s famous novel, adapted to the screen by a team of writers headed by playwright Maxwell Anderson, Dell Andrews, and George Abbott, the story describes the initial excitement and then disillusionment of a group of German soldiers in the First World War, none of whom survives. Uncompromisingly made, the film makes a clearly bleak statement of war fighting in trenches, stressing the inanity of war for both sides, the Allies and the German. All Quiet on the Western Front contains many powerful scenes–and speeches. Expressing some German dogface philosophy at the frontlines, Louis Wolheim states: “I tell you how it should all be done. Whenever there’s a big war coming, you should rope off a big field and sell tickets. And, on the big day, you should take all the kings and cabinets and their generals, put them in the center dressed in their underpants and let them fight it out with clubs. The best country wins. 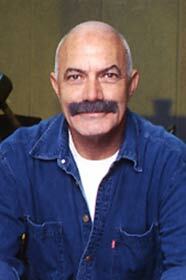 Later on, in the film’s memorable penultimate scene, Ayres sees a butterfly and spontaneously reaches out to touch it, when he is hit with a bullet. One by one, the soldiers are maimed or killed in action. 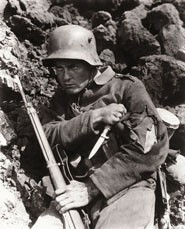 “All Quiet on the Western Front” proved to be a huge success at the box-office; it was Universal’s biggest hit. Reissued in the U.S. in 1939, in a substantially truncated version (the initial running time was 145 minutes), the movie enjoyed a second successful run and it’s often shown on TV. In later reissues, the opening commentary, on the horror and futility of war, was excised from the original. The film was poorly received in Germany prior to Nazism, and was officially banned following Hitler’s rise to power, fearing that the film’s message would have a demoralizing effect on Germany’s youth. Due to its pacifist message, the film has frequently been banned in countries preparing for war. It’s noteworthy that Milestone didn’t make pacifist film during WWII. 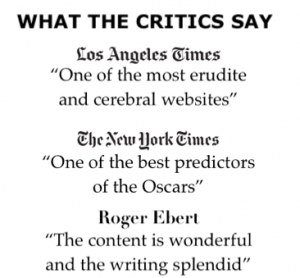 Some critics have suggested that perhaps it was easier to make a movie like “All Quiet” because its protagonists-losers were Germans and not Americans. 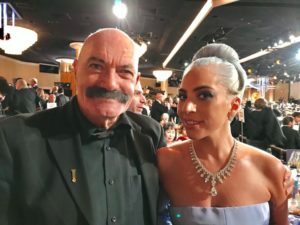 At the time, the film was hailed as courageous, but as some historians pointed out, this was a pacifist film launched profitably during a pacifist period. To be truly “courageous,” the movie should have been made when the country was involved in the midst of a war. The American Legion of Decency was concerned about the sympathetic portrayal of Germans. 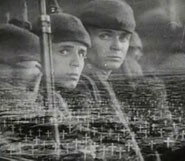 Most viewers responded to the film’s noble message the futility of war, any war, as one reviewer noted in 1930: “The League of Nations could make no better investment than to buy the master print, reproduce it in every nation to show every year until the word “war” is taken out of the dictionary. 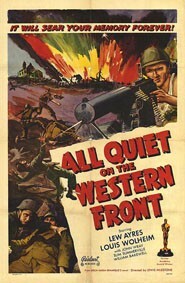 Nominated for four Academy Awards, “All Quiet on the Western Front,” won two: Best Production (as the Best Picture category was then called) and Director for Lewis Milestone. The other two nominations were for Writing Achievement (George Abbott, Maxwell Anderson, and Del Andrews) and for Arthur Edeson’s Cinematography. “All Quiet on the Western Front” was remade in 1979 as a TV movie, but the first version is still the best. Both the novel and film are anti-war classics. Solid read.